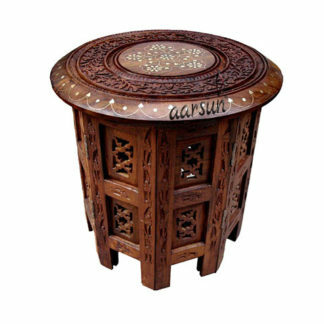 Aarsun Handmade Wooden Corner Table from Saharanpur in fine quality wood and fine carving and finishing. 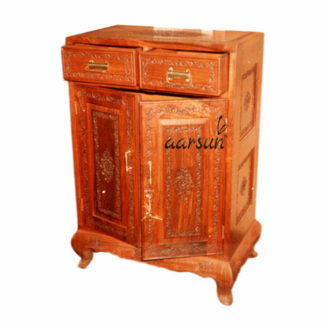 The Wooden Side Table is best suitable for bedroom.Wooden carved fold able table Size: 12″ Length X 12″ Width X 12″ Height (in inches) Package Contents: 1 Pieces Wooden carved fordable table with fine carving & brass inlay work. Fully handcrafted table can be used for keeping flower vases or other decor pieces. 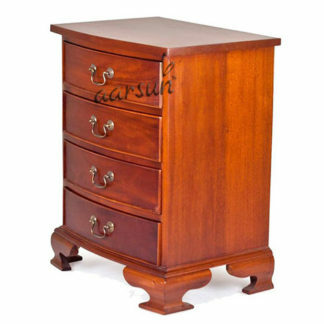 Wooden carved fordable table is made from high quality sheesham wood with high finishing.